A list of reports, articles, or published letters about housing and housing agencies. December 2017: People who need social housing can be some of the most vulnerable in our society. A significant proportion require social services, including for medical, mental health, and addiction conditions. It is important for Housing New Zealand to have a good understanding of tenants' needs and its role in supporting them. This report looks at how well Housing New Zealand uses information to manage tenancies, maintain houses, and manage and invest in new and existing social housing. October 2015: We found that the chief executive’s involvement did not influence or contribute to any substantive aspects of the Council’s policy for special housing areas. The Mayor and Council took appropriate steps to manage the conflict of interest. The chief executive took no part in recommendations or decisions about special housing areas after declaring his interest. We also found that the conflict affected the chief executive’s ability to advise the Council about special housing areas and provide leadership to council staff in this area. Local government: Results of the 2010/11 audits. 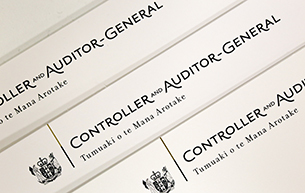 Final audits of Auckland's dissolved councils, and managing leaky home liabilities. Local government: Results of the 2007/08 audits. July 1991, 0 477 02825 X.